No matter the seasons, there are plenty of things to do in Scottsdale that you can enjoy in your free time. Take in the culture of the area and head out to some of the Scottsdale, AZ museums and art galleries. This city boasts more than 125 professional galleries and studios, making it one of the best art centers in the U.S.
Scottsdale art galleries are known for their Native American and Western art, but there are plenty of opportunities to see modern and contemporary art as well. Scottsdale Museum of Contemporary Art: This museum is located in the Old Town district of Scottsdale and features exhibits with modern art, design, and architecture. Western Spirit: Scottsdale’s Museum: This museum, as the name implies, focuses on Western culture with historical and cultural displays about the American West. Mainview Art Gallery: Located in Scottsdale, this gallery features works by various artists, including native American and Western Art. Attend and event or simply peruse the art. Scottsdale Historical Museum: Experience the history and culture of the American West as you wander through this Scottsdale, AZ museum, taking in the permanent and rotating exhibits. Before or after checking out these Scottsdale art galleries and museums, you might want to stop for a bite to eat at one of North Scottsdale’s best restaurants or top golf courses. 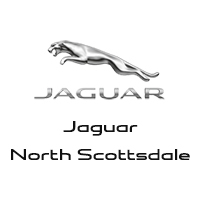 If you need help getting around from Phoenix or Paradise Valley, shop for a new or used car with us.